Pluh (Plow). A monthly journal of literature and the arts of the Pluh writers' association. It was published in Kharkiv and edited by Serhii Pylypenko, Ivan Senchenko, Andrii Holovko, Ivan Kyrylenko, Dmytro Zahul, and others. It was established in 1925 as Pluzhanyn, but its name was changed to Pluh in 1928, and as such it was known until 1932. In 1933 its last two issues appeared, as Kolhospna Ukraïna. 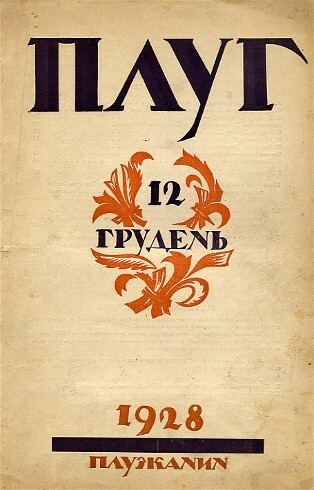 Pluh is also the name of a collection of essays, writings, and statutes of Pluh, edited by Pylypenko, which was issued in 1922. Pluh also issued three almanacs bearing the same title (1924–7, edited by Pylypenko). 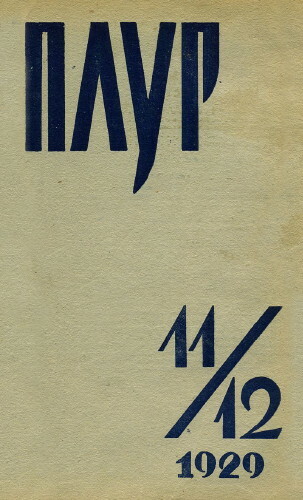 They included Mykola Yashek's bibliographical index of the Literary Discussion of 1925–8 and another bibliography, ‘Pluzhans’ka tvorchist'’ (The Works of Pluh).